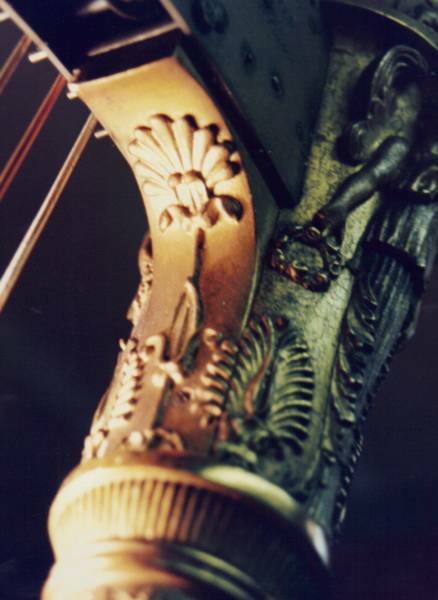 1988-1990: Tutored by Gordon Davey, a painter, graphic artist, and luthier, I made my first harp, aged 14. 1992-1995: BSc (Hons) Music Technology, City of London Polytechnic (Later London Guildhall University). Dissertation title: The Mechanisation of the Harp, 1794-1845. 1995-1996: Trainee harp maker at Pilgrim Harps, South Godstone Surrey. 1997-2008: Occasional harp making and restoring. 2000-2001: Postgraduate Certificate of Education (P.G.C.E.) Science specialism, Brunel University. 2001-to date: Early years, primary, behavioural, and secondary special needs teaching. 2008-2010: MA Musical Instrument Technology, London Metropolitan University. Thesis title: The Erat Harp Company: An Analysis of Company Papers, 1821-1824. 2010: Awarded AHRC Studentship - five years of research funding for doctoral study on nineteenth-century London harp makers. 2010-2018: PhD, Musical Instrument Technology, London Metropolitan University. Thesis title: The harp in early nineteenth-century Britain: innovation, business, and making in Jacob Erat’s manufactory. 2016: Won 'Let Teachers' Shine' award. Funded to research the impact of forest learning and outdoor spaces on the communication of autistic students.